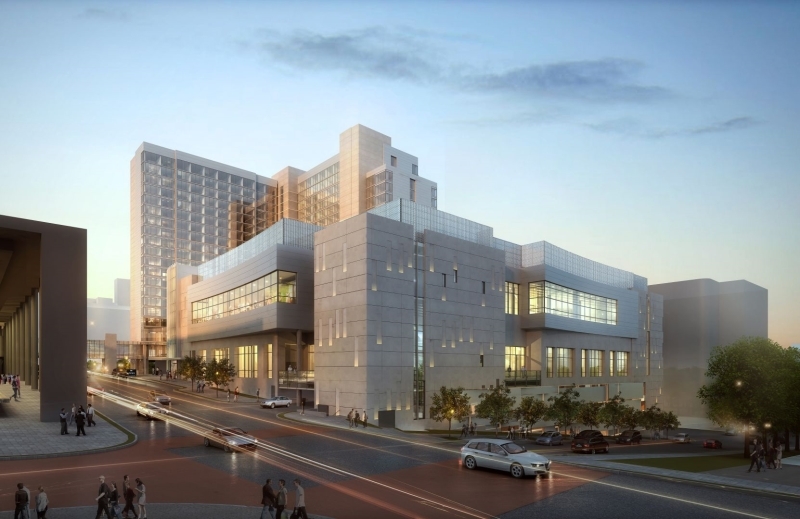 Loews Kansas City Hotel will showcase 800 guestrooms, a lobby bar, signature restaurant, three meal restaurants, indoor lap pool and 60,000 square feet of meeting and event space, which connects directly to the Kansas City Convention Center with a new connector bridge. Please bring your own gloves, hard hat, vest and glasses if you have them. 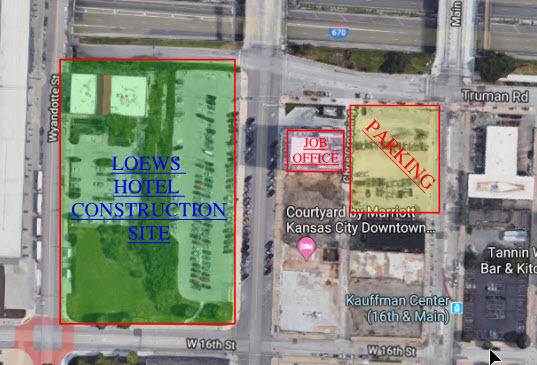 We will park in the parking area below, then meet in the job office. Please fill out the Site Release Form and bring it with you.